Watch out for the Yod Hunt! Secret Behind Yod's Slow Shipping Revealed! In a shocking investigation by California's best CHimPs CHiPs, it has been uncovered that Yod's Weekend Photo Scavenger Hunt prize winners are not only NOT getting their prizes, but the prizes are not even actually being mailed! When confronted with this news, Yod acknowledged this issue, but thrust the blame squarely on his delivery service. 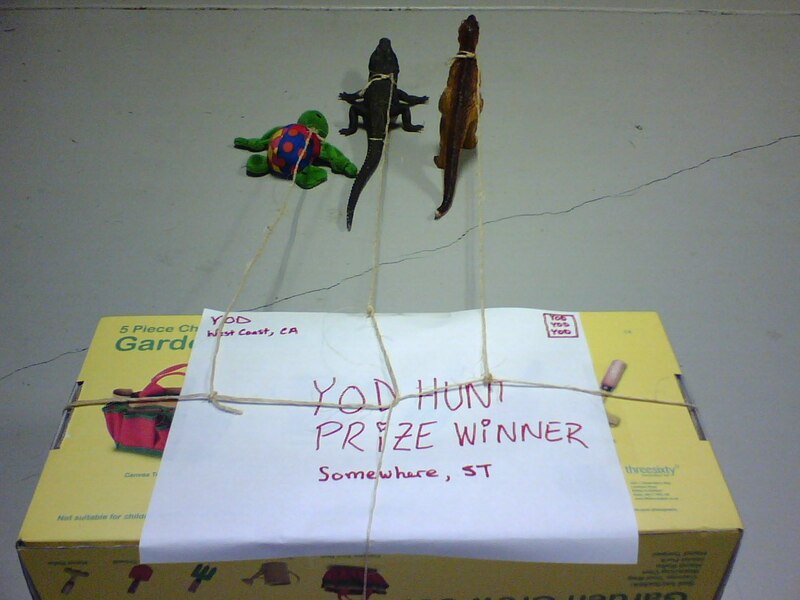 Authorities believe this is why Yod has been so slow at getting the Yod Hunt prizes out. 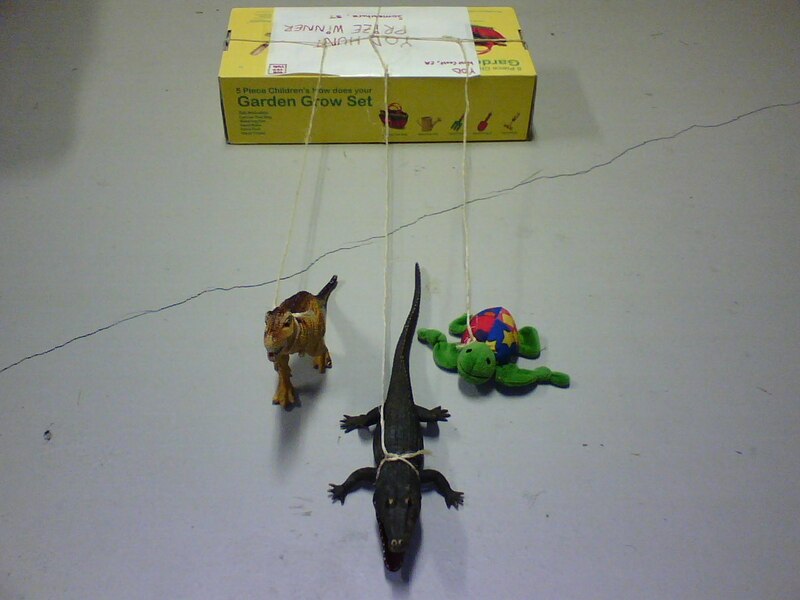 "Those damn reptiles in the Reptile Parcel Service [RPS] are moving slower than molasses!" Yod was quoted as saying to one reporter. "I have a mind to go down to their main office and fix me up some snake stew, if this keeps up." One other source, who wished to only be identified as "J" had this to say: "I told him not to go with RPS. But nooo, would he listen to me? When I saw those pictures, I yelled at him – You idiot, you didn't even check to see if they employed REAL reptiles!" The local representative for RPS could not be reached for comment on the issue. As you drive down the street of one residential neighborhood, you find yourself smiling at the family-sized red brick houses that line the road. Each house has its own special touches – a beautiful flower bed here, a elegantly designed walkway and entrance there. With the rising prices for housing in the area, you would never know that this neighborhood was currently being subjected to a plague worse than any known to its residents in the history of the area. Residents of the area remarked that they would have rather been a victim of a nuclear explosion than have the pictured building in their neighborhood. The issue is a barn. Old and dilapidated, this once-quaint structure now screams out in anguish as the tin roof tiles slowly rust and fall from the rotting wooden structure. One side has settled and appears to be caving in, while a constant parade of squirrels and cats stream in and out of the structure – proof that although this old goat barn may be old, it still provides enough shelter for vermin and wild animals. The owner of the property has done little to clean up the pile of junk on the second level, even though when interviewed, he promised he would be boarding this over sometime in the near future. When pressed, he had this to say: "Well, that couple that built that fence there put it so close to my old barn that I'm not sure I can do it now without putting a ladder into their yard." When the owners of the property in front of this barn were informed of this response, they replied: "We've been here for a year now, and he's never once asked us if he could put a ladder on our property to board up the barn. We'd be more than happy for him to do so. 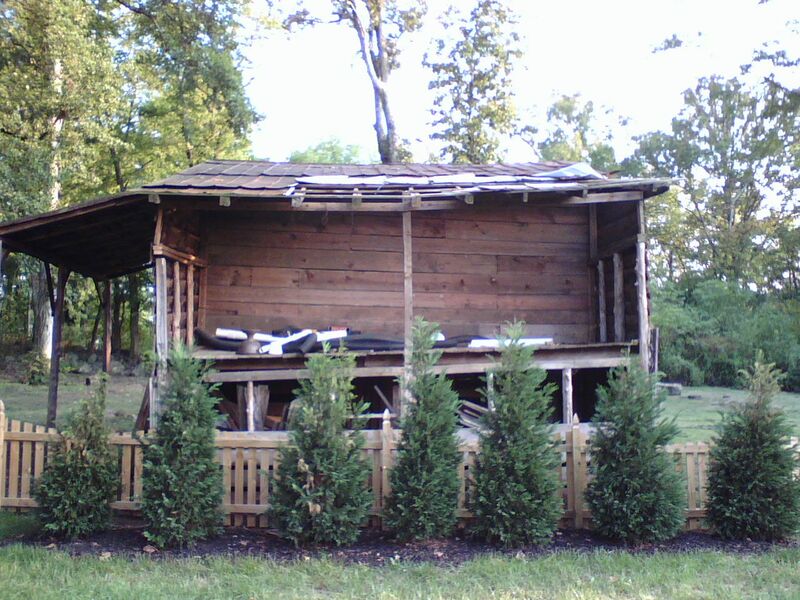 We heard this house was on the market for 9 months without a single bid because of that barn. Frankly, we bought the place knowing the barn was there, but figured it'd probably collapse sometime in the next 3-4 years, and we wouldn't have to look at it anymore after that." It is unknown how badly this barn is affecting property values in the area. One local real estate mogul claims the barn has no influence on neighborhood prices. "We've got plenty of properties in that neighborhood that people have been putting up for sale, and they've been getting quality bids coming in. I don't see what the big deal is. If you don't like rustic barns, I've got some great city properties I can show you instead." Once again, police have determined the recent slew of "picture vandalism" reported by concerned citizens is the work of none other than webloggers using the blogging service provided by Vox.com. Although the specific individual responsible is still unknown, the rash of crazy photos witnessed by tens of households around the nation has specific clues leading the police back to this internet journal website. There are no suspects, but police believe this was the work of crazed bloggers on a scavenger hunt. 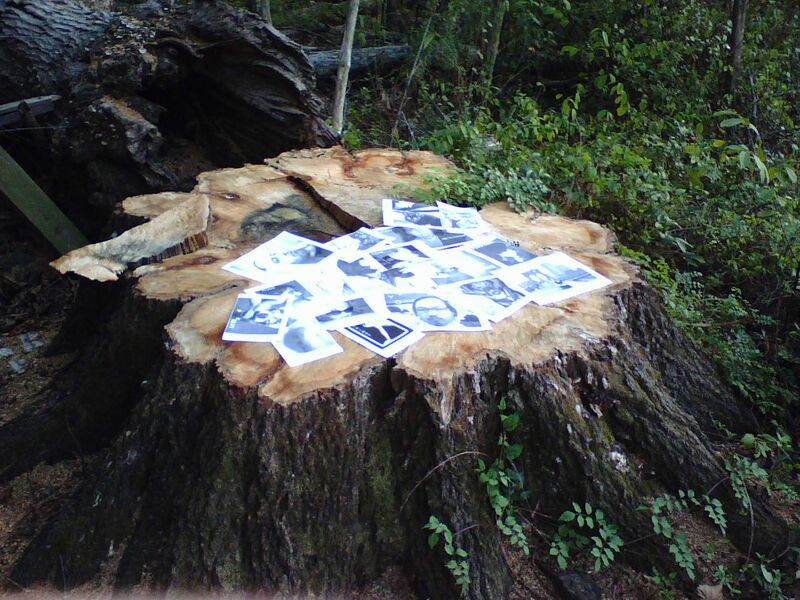 Detective Cannutfine Myown-Tuchus had this to say on the matter: "Someone obviously took the time to print out these pictures and do something with them. 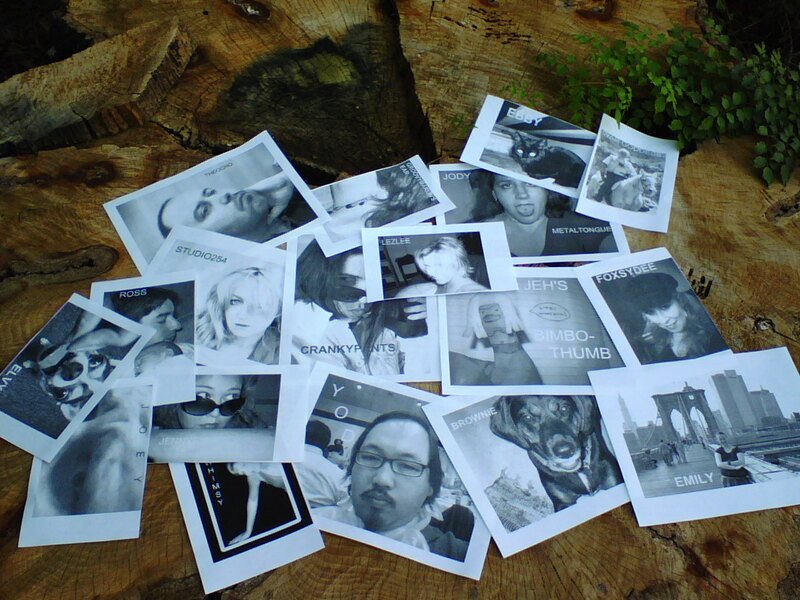 There seem to be specific user names on each photo, possibly the login credentials to individual blogs, or gang names. We are doing everything in our power to track down the criminal behind this flagrant act of vandalism, and I personally have no doubts we will get our man within the week. Unless he's in another city…then it might take a little longer, since we have to pay for our own long-distance calls." 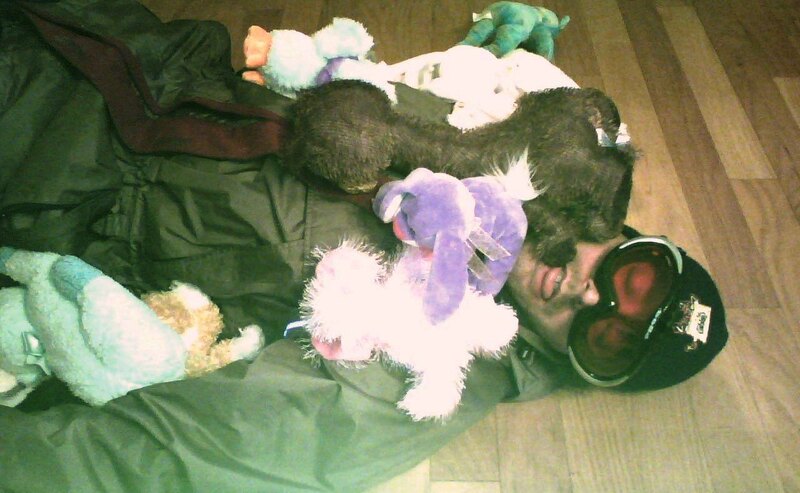 After a 24 hour manhunt, police pursued and apprehended the infamous cat burglar Jeff "The Boarder" Bigg, responsible for at least a dozen break-ins and at least one actual robbery. Mr. Bigg, whose trademark involves wearing winter sports gear while committing his crimes, was picked out of a downtown crowd. "It's pretty easy to identify 'The Boarder' when it's 97 degrees out and he's wearing a parka and ski-cap," one astute citizen mentioned. Reporters arrived late on the scene of the capture of Mr. Bigg, and were unable to gather any specifics as to how "The Boarder" was finally apprehended by police. Captain Ima Winner would not divulge any information regarding the techniques the responding officers used to pacify the individual in question. "We may need to use these techniques again," says Winner. "The last thing we want is some criminal figuring out how to outsmart us because he knows all our tricks." It is unknown how this chase ended. The Goldberg Gazette must apologize for the article published in last week's paper. From the number of complaints we received, we now understand that our photo caption of "Fig. 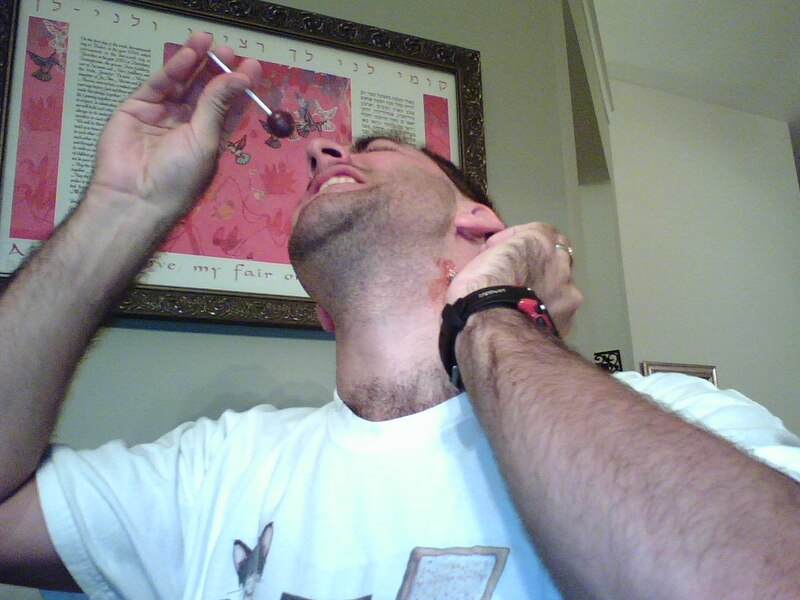 3-11: Human consuming treat" was ambiguous. Many wrote in asking if it was supposed to be "Human, consuming treat", or "Human-consuming treat". We were able to get some better photos for the original story and are publishing them here in this edition of the Gazette. Hopefully this clears up any confusion. Fig. 3-11: Human consuming treat. Well, it appears that BOTH interpretations are correct. Note: This is Ross' cameraphone edition – my digital camera was out of service, so I apologize for the somewhat sub-par quality of the photos themselves. I make no apology for sub-par quality of the contents of the photos. Note #2: Vox has gone crazy on me. I uploaded the pictures but cannot insert them the way I want into the post. I'll rectify this later, but for now, hope you can deal with the odd placements. 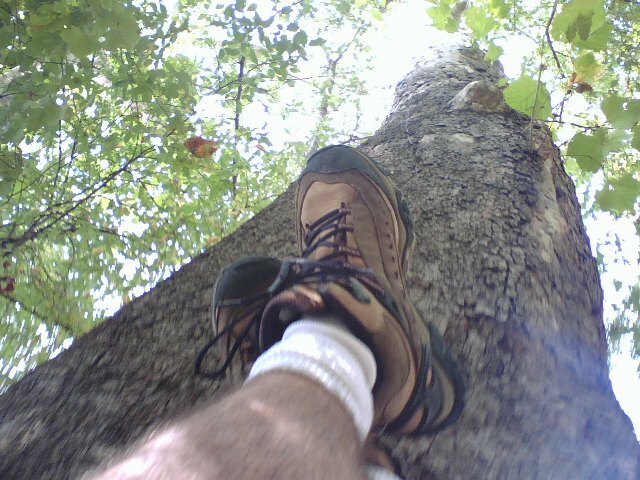 1) Take a self portrait where nothing pictured (other than what you are wearing) is man made. Since people may be getting tired of my mug, I decided this week to show off my boots. In the background is nothing but all-natural trees, air, and clouds. It was also a pain getting inverted, so maybe next time Yod needs to have us sign a liability waiver before starting the contest. 2) Show us your favorite local eatery (bonus points for showing us the food). This is from one of my favorite local places, Punchy's Diner. Just a little diner with a nice atmosphere, pleasant wait-staff, cheap-but-good eats, and it happens to be relatively close by. They sometimes have custom/classic car shows outside the diner too, so you can get some free entertainment after your meal by just walking around and checking out the refurbished classic cars. See #4 picture below for more info and a picture from inside Punchy's. 3) Spend no more than 1 USD (0.731608 EUR, 0.496663 GBP, 1.05275 CAD, 1.21179 AUD, 41.0919 INR, 3.48137 MYR) on something ridiculous and show it to us. 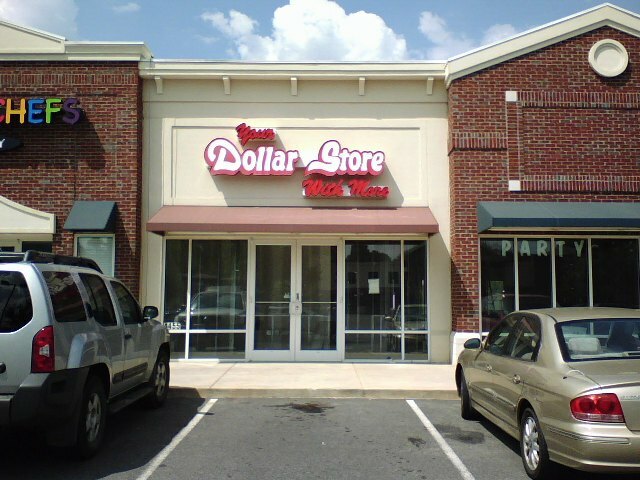 I wanted to go buy something at the "Your Dollar Store With More" shop, but as you can see, they seem to have gone out of business. I had to settle for my local grocery store, where I picked up this nifty bowl deoderizer for the low-low price of $0.50 US. What's so ridiculous about that? Well, I think the fact that it did not do its job at all makes it a pretty ridiculous product to sell. Frankly, I'm not so sure my bowls needed deoderizing in the first place. 4) Show us the work of a local artist. 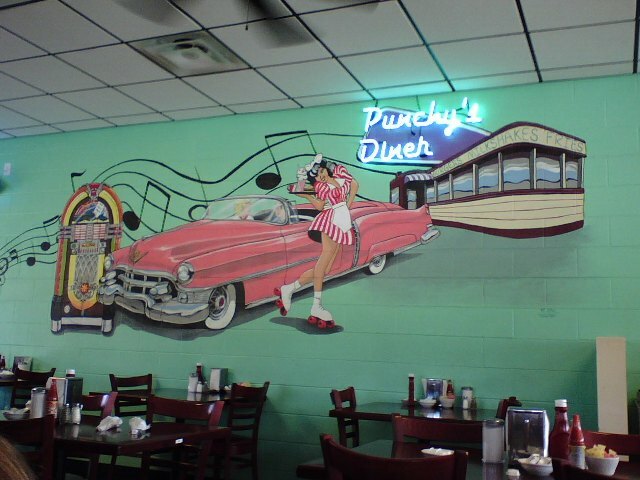 This mural at Punchy's Diner was done by Russ Petty. It's….certainly not a masterpiece, but it adds just the right touch to the diner's atmosphere. More on Russ' work can be found here, with more shots of the Punchy mural here. 5) Print out this picture, bring it somewhere hilarious, and take a picture of it in its new surroundings (black and white print is ok). If you don't own or have access to a printer, write "I DON'T HAVE A PRINTER" with a frowny face on the paper and use that instead. This one almost stumped me. In the end, I couldn't think of any place more hilarious than a port-o-potty. So Yod's girlfriend's nephew took a trip to the only place where you can poop outdoors without getting arrested for indecent exposure. 1. Take a self portrait of yourself doing your best secret agent impression. What evil lurks in the hearts of men? Only the Shadow knows…or the shadowy, partially obscured figure dressed like a sekrit agent from an old 50's B movie…I'm passing the uber-secret crossword puzzle to my invisible government contact in this photo. Please note I had already completed photo scavenger hunt topic #2 at the time of this photo. 2. Show us the most delicious thing that you can prepare in your kitchen in under 90 seconds. I swear I wasn't copying crankypants on this one! 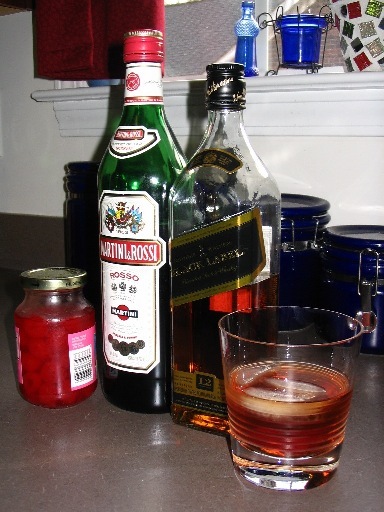 I made and drank this one long before I saw her post! 3. Take a picture of a tattoo or piercing on your body. If you don't have either, show us where you want one and tell us what you plan to get. If you're against body modification or are just not interested, take a picture of your thumb. This is a slightly-weird angle of my one and only tattoo. I got it after I had graduated college and joined the working world, and was completely sober at the time. I had started off with an idea of what I wanted, combined it with some flash I saw at the tattoo parlor, helped the artist fine-tune it to my liking, and just went for it. I highly recommend Skin Funk Tattoo in New York, if you're ever up that way and looking for some new ink. 4. Show us something that could only exist in [where you live]. Only in North Carolina can you find Big Tobacco manufacturing facilities hand-in-hand with acres and acres of cow-pastures. These fields are all owned by Philip Morris, who has a facility somewhere back there on-site. Note: North Carolina's unofficial state motto is: Remember, Tobacco is a Vegetable! 5. 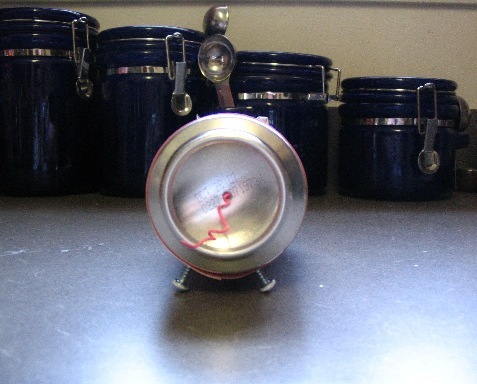 Create a sculpture of a pig out of unconventional materials (don't use clay or play doh, etc.) and show it to us. Unfortunately, Gerald suffered a bad accident involving a recycling bin, and is no longer with us. He is survived by his littermates Geraldine and Harold, both of whom declined to be pictured here. Here it is!!! The inaugural Yod’s Scavenger Hunt! Well, I have to admit this was a lot of fun. What was even more fun was sneaking out to take photos under my wife's nose, since she doesn't understand how I can get wrapped up in all that "blog stuff". Anyway, I'm hoping there are many more of these contests in the weeks to come…it's definitely better than spending the time wishing the thermometer would drop below 104 degrees! 1. Take a self portrait using a mirror and a very bad camera angle. 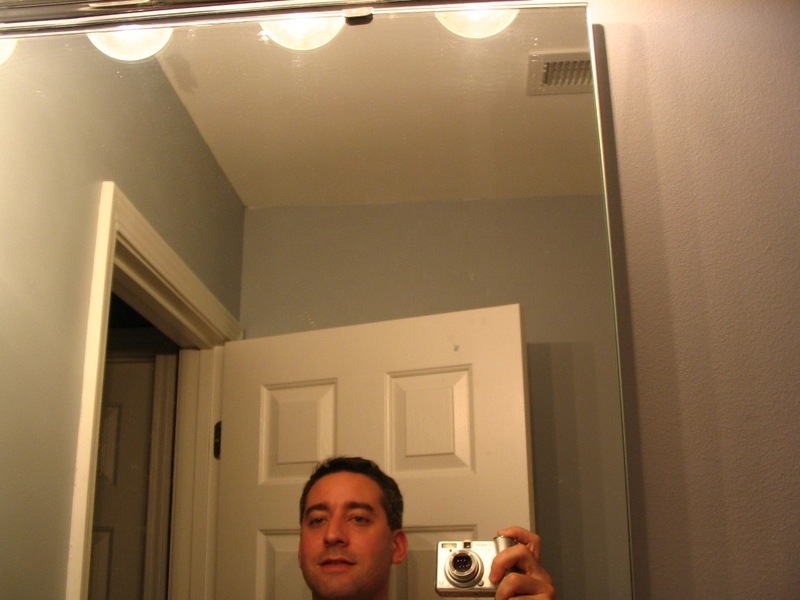 Think about your average teenager's MySpace profile picture and you're on the right track. Camera in photo so you are positive it's a self-portrait? Check. Slightly out of focus? Check. Weird awkward smile that would look right at home on a MySpace page? Double-check. 2. 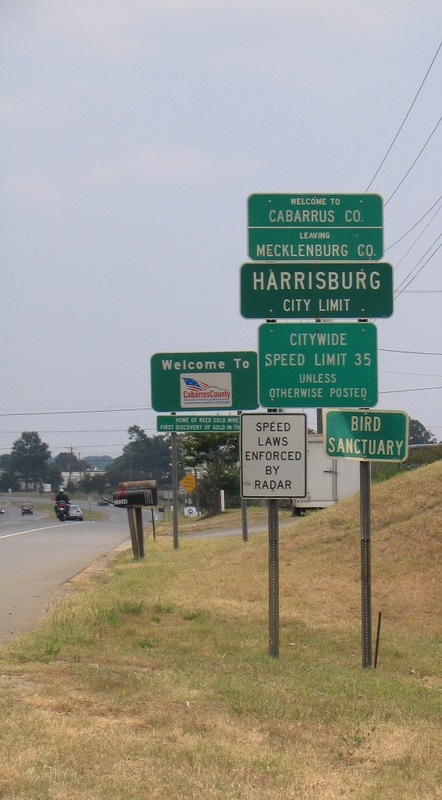 Show us the "Welcome To" sign for where you live. I drive past this one almost every day. It's always struck me as a bit of overkill in the signage department. But I guess someone in the city council has a nephew or brother that prints street signs, or something like that. 3. Show a cellphone being used by someone/something that shouldn't be using it. I swear I wasn't copying TheOcho's post with this one! 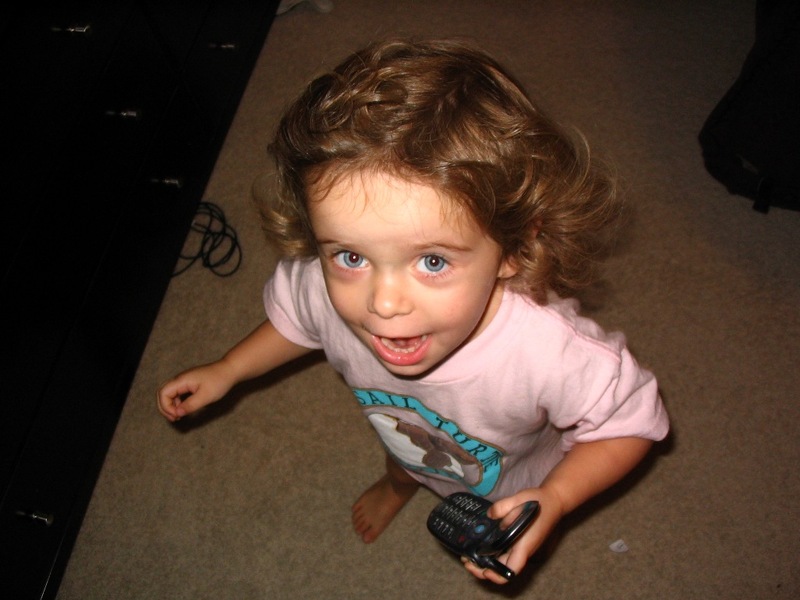 My daughter LOVES to pretend to talk on the phone. She will use anything as the pretend phone, including but not limited to: a shoe, a playing card, a matchbox car, a plastic teacup, and a computer mouse. However, she ADORES my cell phone (must be all the pretty colors and buttons). She isn't allowed to play with it (other than for this picture) anymore since the time I caught her one button-press away from erasing all my contacts. Strangely, she refuses to talk to anyone on a real phone. I think the voices scare her. 4. Take a picture of a sure sign that the world is ending (don't post a pic of a sober Lindsay Lohan, I know that it's either a picture you didn't take this weekend [since Lindsay was last sober 10 years ago] or completely fake). I was all set to take a shot of an article about the French kid who got arrested for translating Harry Potter into French – after all, what is a better indication that the world is ending than a kids' books publisher pressing charges against a kid? Then I caught sight of these guys this morning on my neighbor's lawn. The guy bent over? He's been trying to start that weed-whacker for about 6 minutes. Before that, he tried to start a different one (same model) for about 5 minutes. Shortly after this picture, he realizes that he has to HOLD DOWN THE TRIGGER on the weed-whacker while pulling the cord to get the motor to start. His partner in crime on the riding mower was completely oblivious to the whole incident. Now, normally, I wouldn't think anything of this (especially if it was someone in my family trying to figure out how to run one of these things). 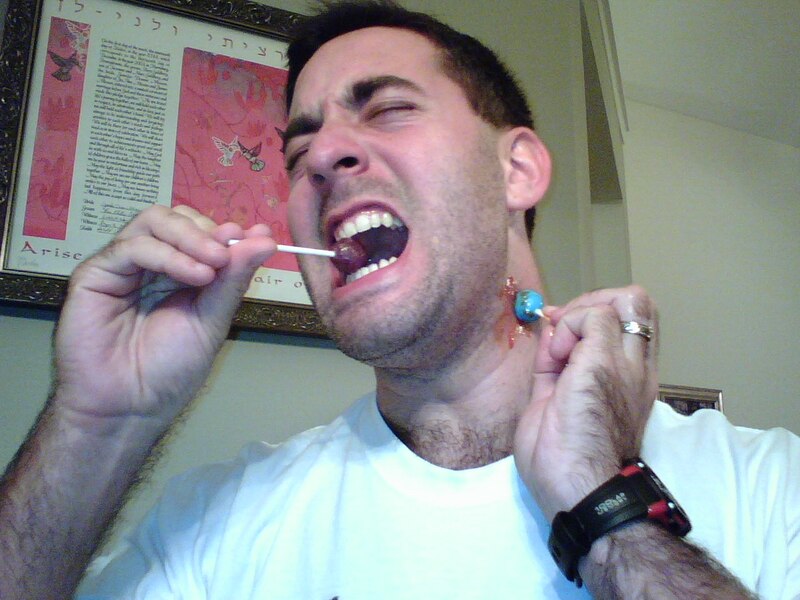 But remember – this guy is part of a PROFESSIONAL LAWN CARE team. His JOB is to use the weed-whacker, probably dozens of times DAILY. You know the world is coming to an end when the average Joe can get a job doing something he has no competence for, and nobody (or almost nobody) seems to notice. 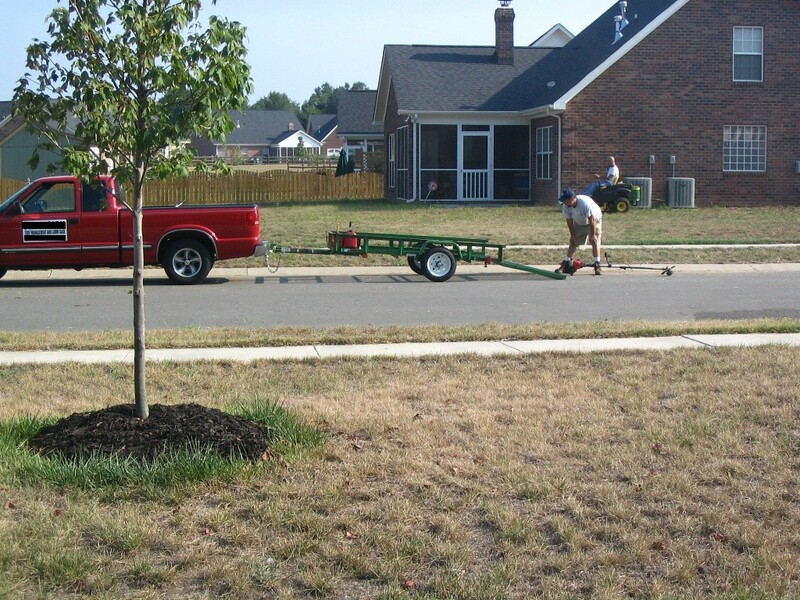 Yod, I know you said no photoshop, but I didn't want to get sued for libel, so I put black bars over the name and number of the lawn service in this publicly-posted picture. I still have the untouched original, though, if you need to ensure I wasn't doctoring anything. 5. Show us something over 100 years old. The guy who used to own the land all the houses in my neighborhood sit on still owns a parcel behind my house. 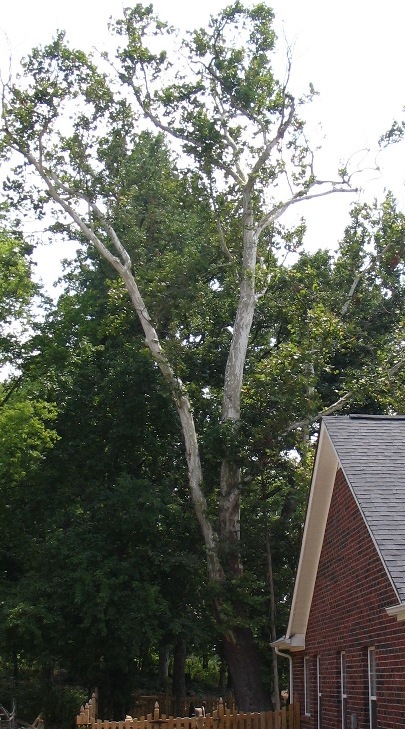 I was talking to him one day a few months back and commented how much my family loves the giant sycamore tree (pictured here) in our back yard, and how we're glad the developer didn't get rid of it when building the house. He told me that his family had owned the land since 1750, when this area was settled, and that his great-grandfather had planted a bunch of sycamores around the 1850s because he liked the look of them. As best he can figure, this one is around 150 years old, and still going strong.